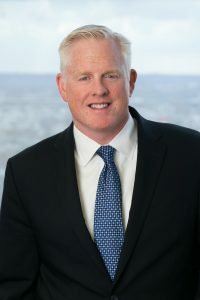 Offit Kurman has steadily built a firm of distinction serving privately held, middle-market businesses and their owners, large nonprofit organizations and families of wealth in the mid-Atlantic region. Clients and competitors have come to respect us for both our legal acumen and our unflagging dedication to service. If you’re ready to grow, Offit Kurman is ready for you. As our firm continues to expand, we are looking for accomplished and entrepreneurial lawyers who share our vision. Join Offit Kurman and take advantage of our unique operational model, entrepreneurial principles, and proven leadership in the business of law to grow your practice and advance your legal career. Our growth process is founded in the business of law. For nearly two decades, Offit Kurman has expanded at a sustainable pace through lateral and firm affiliations in strategic markets. Supported by a regional management team comprised of legal and non-legal professionals, Offit Kurman is currently on track to reach its next target: an attorney count of 200 by 2020. At Offit Kurman, we expect excellence from every member of the firm. For lawyers who meet that expectation, there will always be opportunities to lead and join in organizational management. From Practice Group Leaders and Practice Group Directors to Associate Managing Principals and the firm's Management Committee, Offit Kurman's leadership team is comprised of attorneys who have worked their way to the top. Offit Kurman uses a three-pillared, value-added marketing platform for lawyers and clients alike. In our experience, each party benefits most from an approach that serves both. We document your story through excellent content, get your stories in front of potential clients or customers, and organize events where you meet with prospects and other centers of influence. Our marketing department continues to develop new products and tools designed to expand your brand and business. Offit Kurman is where excellence in the practice of law meets innovation in the business of law. Working alongside attorney leadership, our firm's team of professional managers and Regional Directors drive continued strategic growth and expansion throughout the markets we serve. Are you interested in focusing your talents, energy and connections more efficiently and effectively? If you’re looking for a change for the better, a challenge and the change to be part of something big — we need to talk.